The FCT Police Command on Friday arrested popular rights activist and good governance advocate, Deji Adeyanju, for allegedly inciting civil unrest. The arrest, which took place at the Unity Fountain Square in Abuja, was sequel to the insistence of members of Islamic Movement of Nigeria (IMN) to continue with their daily sit-out protest for the unconditional release of their detained leader, Ibraheem El-Zakzaky. Vanguard gathered that Police had, without pre-informing the group, barricaded the entrance to the Unity Fountain to prevent members from holding their sit-out. But in the melee that broke out following their insistence on the protection of their rights to peaceful assembly, the police teargassed the large crowd that had gathered for the group’s Day 96 sit-out to dispersed them and arrested Mr. Adeyanju for alleged incitement. He was released following intervention of maverick entertainer and leader of OurMumuDonDo Movement, Charles Oputa also known as Charlyboy, who stormed the command and met with the Commissioner of Police, Sadiq Abubakar Bello to secure his release. It was gathered that the FCT Police boss told Charlyboy that groups would no longer be permitted to stage protests or rallies at the fountain, and urged him to personally abide by the directive and also spread the message to other civil groups. When Vanguard reached out to the Secretary, Academic Forum of IMN, Abdullahi Musa, for his reaction, he said: “We cannot be intimidated or bullied into ending our call for Sheikh El-Zakzaky’s freedom. For Allah’s sake, our leader has been unjustly detained for years now. And in the spirit of loyalty, we have made it a point of duty to come out and peacefully prevail on government to release him. “We have not breached public peace in any way; we have not tampered with public property in any form; we have not done anything considered crime against fellow citizens of the state in the course of daily sit-outs. So, we don’t make any sense out of the directive of the Police Commissioner on protests and rallies at the Unity Fountain. “My arrest was strictly about the free El-Zakzaky protest. I was accused of inciting the members of IMN against the police. But how did I do so? I really don’t know. “Today in Nigeria, neither a state-of-emergency nor curfew is imposed on Abuja. It is only under such situation can some of the people’s basic human right as spelt out in the constitution may be abridged. So, the peoples’right to hold peaceful assembly wherever and whenever they desire to do so should remain sacrosanct. “I think it is proper to create this awareness and that was all I did. However, I cannot be intimidated into shying away from speaking the truth at all times,” Adeyanju said. 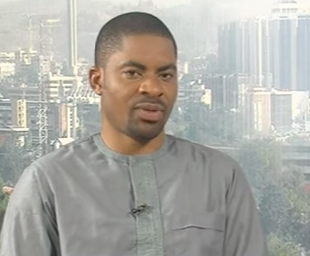 The post Deji Adeyanju arrested over El-Zakzaky protest as Police ban rallies at Unity Fountain appeared first on Vanguard News. Next Who‘ll save some Nigerians from intellectual laziness?